Where your health is at stake, it is comforting to know that whichever medical scheme you are under, the Council for Medical Schemes is looking after your interests. What is the Council for Medical Schemes? The Council of Medical Schemes is the regulator of all the medical aid schemes in South Africa. 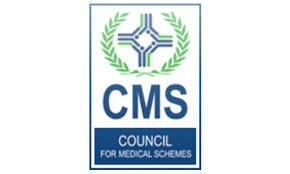 The medical schemes council was established in 1998 by the passing of the Medical Schemes Act (131 of 1998).Its job is to ensure that each medical aid scheme for instance the Malcor medical aid scheme adheres to the Medical Schemes Act 131 of 1998. The Minister for Health in South Africa appoints the Registrar of the Council for Medical Schemes, the Non-executive Chairman, the Deputy Chairman and the 13 members who sit on the council. The day to day operation of the Council for Medical Schemes is the responsibility of the Registrar and his executives. The 13 council members who sit on the board of the Council for Medical Schemes have the responsibility to determine policy. The purpose of the Council for Medical Schemes is to look after both the interests of medical schemes and also their members. With annual contributions in the region of R130 billion made to the various medical schemes such as Discovery Health and Hosmed medical aid scheme, this money must be accounted for. Liaises with medical schemes like Momentum Health for instance, to ensure that they are complying with their requirements. Changes and implements new rules which will make the Council for Medical Schemes itself work better. Arbitrates any disputes between beneficiaries and their medical scheme should any complaint arise.You should be aware that prior to contacting the Council for Medical Schemes all efforts should be made to resolve such a dispute with the medical scheme first. The Council for Medical Schemes has an extremely informative website where you will find a wealth of information. Such information will help you to understand better your rights as a member of a medical scheme. It also explains in detail the benefits of its existence. This will aid you when selecting a medical aid scheme to join. To access this information or to contact the Council for Medical Schemes you can visit their website here. How many medical aid schemes fall under the council? As of 1st January 2015 there were eighty-six medical aid schemes in operation in South Africa. Twenty-three open schemes and sixty-three restricted schemes. 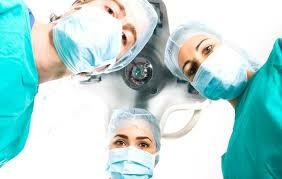 Examples of open schemes are the Bonitas medical aid scheme,Liberty medical scheme and Genesis medical scheme. The LA health medical scheme and Pick n Pay medical aid and are both examples of restricted medical schemes. This means that only those employed or previously employed by the companies may be members of the restricted scheme. EVERY medical scheme is South Africa falls under the supervision of the Council for Medical Schemes.